One may ask; what is the difference between a real estate agent and a realtor? A real estate agent is not a realtor. A realtor is one who is authorized by the Realtors Association on a national level. A realtor is an authorized person by the association. Ethical and moral behavior towards the client. To maintain and carry on the standard of the whole association, as they represent their whole association towards the clients. Obeys rules and regulations of the state in which they are serving. For example, they must follow the property right rules, taxation policy etc. A realtor is also caring towards the client rights. How to Hire a Good Realtor? 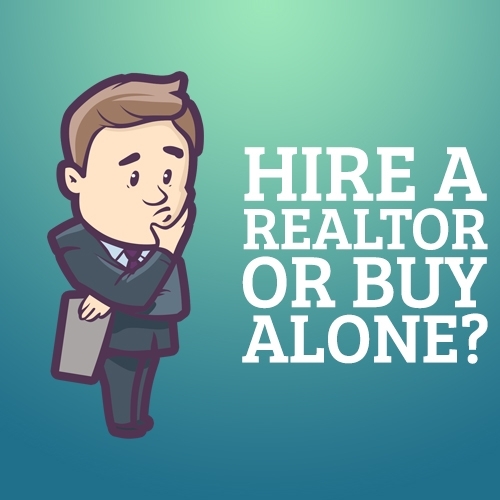 Since we’ve discussed who a realtor is, there is another question to answer. How do you hire a good realtor who meets all the criteria and has the right qualities? A real estate agent is one which deals in house, property buying and selling. These agents are aware of properties in the area that are available for sale. The realtor will be informed of everything you need to know about the property. The first step to finding a good realtor is to contact one. Doing an interview will help you find the realtor you are looking for. The purpose of interview should be to check all the qualities of the realtor. Is this realtor the right fit for your home buying process? Do they have the qualities you are looking for in a realtor? The realtor must have qualities like ethical behavior, moral aspects, working capabilities, ideas, and motivation toward the work. Another important factor to consider is the realtor’s experience. Do they have positive feedback from previous clients? Also ask how many properties/houses were closed by them. This will be a key step in learning the expertise of the realtor. If the realtor has never made a deal, you may want to keep searching for a more qualified realtor. Check out the license of the realtor, as well as their track record. The track record highlights the ethical measures of the realtor. License of the concerned Realtor Association. Previous deals and hiring (portfolio). Working hours, capabilities, skills, motivations, ideas and loyalty. After confirming the realtor is legitimate and ethical, it would be helpful to list the qualities and downsides of the realtor. This will be helpful in making a final decision. If the realtor meets your demands and requirements for the work, then you should schedule a meeting. Make a contract with the realtor concerning your policies and then hire them for your house search. Contracts are an important step in the agreement between you and the realtor. The contract will protect you from any violation of rules or regulation on the realtor’s part. It will also allow you to void the deal if your needs are not met according to the contract. Kitchen, washrooms, TV lounge, car parking etc. Most importantly, the range of your budget. Giving your realtor certain housing requirements will allow them to find the perfect home for you. You have visited dozens of open houses and met with builders and sellers. You’ve looked for the ideal neighborhood and searched for the best available offers. Now, you have finally found the property you are willing to pay for. Or maybe you were lucky: it was a love at first sight, and now you are eager to close the deal as soon as possible. It could even be a colleague’s recommendation on a house for sale, or a drive after a family lunch. In any case, welcome to the most valuable and challenging process of the home buying – price negotiations. First of all, start with your financial status estimation and available options of financing. If you are a first-time home buyer, there will be federal programs and state loans to help you with down payment and mortgage interest rates. Usually, you know how much money you wish to spend. Considering all of the opportunities will give you flexibility during the negotiation process. Making your first offer is an important step which needs a significant amount of preparation and analysis. A lot of components should be considered when submitting the proposal to the seller. One of those components is a comparative market analysis, which is a mathematical model to find out the value of your future home. It calculates the basic conditions, such as number of bedrooms, bathrooms, existence of the yard, or swimming pool. Then it compares your potential home to similar houses on the market in your area. This model will give you an idea of the average basic cost, which will be fundamental for your offer. After the approximation, you add or remove the components that increase or decrease the value respectively. For example, you know that the current owners have recently changed all the plumbing in the house. Or the opposite, their plumbing is fifteen years old and will probably start breaking down soon. Then research the market trends: is the market going up or down? Do people buy or sell more? Are there any houses being built that will soon be on sale? All of those calculations and forecasts may take quite a lot of time, but they will leave you with several options to consider and choose from. For these cases, the real estate agent’s services will be very helpful. Besides, he is a professional. It will not take as much time for him to evaluate all the pros and cons and come to you with a proposal. Your real estate agent must assist in this process and normally helps to decide on a few things. He will help you figure out how much money you should offer, and which factors may or may not be in your favor. After you agree on a price, the agent will send the proposal to the seller or seller’s agent. The seller’s agent will either accept it, or present you a counter-offer. Then, negotiations will go back and forth until you settle and reach an agreement. After that, the home buying will move into the escrow. Remember that all the agreements must be in writing, as your accepted offer will become a part of the purchase agreement. The goal of your negotiation is to buy a house for the amount of money you are willing to pay. Think of the highest maximum bid that you can afford and do not ever offer more. It is also good to research why the owners are selling the house. Do they want to sell it because they are moving for a new job? Has the property price been reduced due to an extensive time on the market? In both cases it is likely they will want to sell quickly. You can stand your ground if they have a counter-offer. If the house has been listed several times with a stable price, it is a sign the home owners are taking their time and may be waiting for the highest offer. Depending on what kind of market you are in, strategy and tactics will vary. If your awaited house is in an area where there is more property for sale that is offered to buy – you are in a buyer’s market; if the situation is the opposite – then it is a seller’s market. In a buyer’s market you have more possibilities to succeed. You can make a less than reasonable offer, demand for some house improvements, better closing date and even closing fee payment by the owner. In a seller’s market you have less leverage, as you are not the only one in line. You are most likely to succeed by offering a seller’s price. If he does not get it from you, he will receive another offer very soon. It is vital to understand that both the buyer and the seller may forget the final goal: to buy and to sell. Sometimes the parties get carried away in a battle of negotiating. Lock your eyes on the ball, but at the same time be realistic in your expectations of the situation. The following tactics will hopefully help you to stay focused. 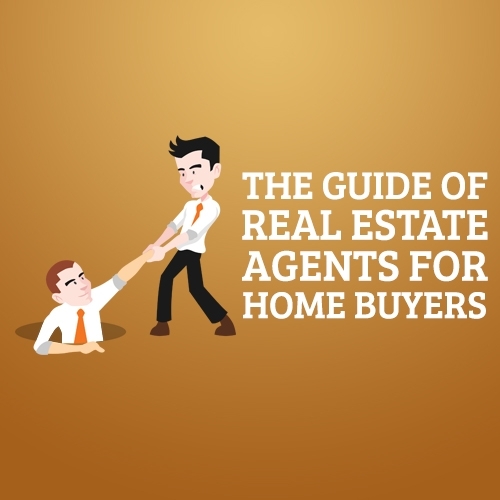 Your real estate agent can be your middleman to negotiate with your seller’s representative. Using him as a buffer will save you time. He may also provide useful information concerning the sellers, their intentions, etc., which the other party will not disclose to you directly. Like in all the movies, one of the buyers plays a person that is on the seller’s side, another one – a displeased party. In this way you will be not estranged from the seller. This will let him know that you are working on the compromise and are aware of his best interests. Current tactics are somewhat similar to the previous one. Some third party (attorney, parents, professional friend of the family) need to see and evaluate the offer and give his or her expertise. This is a chance to lower the seller’s counter-offer and keep your positions. In addition, you will make the seller wait. This may make the seller believe you are considering other options. Asking questions may reveal some valuable information from the seller. It might help to find the reasoning behind the house sale. This could be your priceless leverage, if you do not know it yet. If it seems you might lose the whole deal at one point or another, be ready to give away something during the negotiation. Compromise means you agreed in the end, but both of you left with a feeling that you met halfway. Sometimes you will get stuck negotiating on minor details. It can be a good decision to wait until you come to an agreement on the main points, before proceeding. Whether you are buying a house for the first time, or just got carried away in the negotiation intensity, no one is protected against making mistakes. No one likes rude people. Try not to offend your future seller during a house visit. For example, discussing all the necessary renovations and poor taste of the current owners may hurt their feelings. This may cause them to not want to sell their beloved house to you personally. Never express too much of an interest! Most of the specialists agree that when sellers see how much you want this house to become yours, they won’t accept your first offer. To avoid a counter offer, you should always play it cool, no matter how perfect this property is for you. Will it be possible, or does it lack some basic features that the housing markets consider essential? Spending money on real estate agents and attorneys may cost you thousands. Be cautious with cheap services if they are significantly lower than the average market price in your area. This is an indication of their lack of the professionalism and may cause you significant losses in the future. Pick your team carefully. Do not rely solely on yourself, especially if this is your first time going through the house buying process. There is plenty of information online to help you with your housing research. There is also a lot of information you need to collect before closing the deal to analyze what is best for you. Bid lower than you can pay, and make your final offer with the most comfortable price you can afford. Repairs after the inspections will, most likely, not cost the seller millions. Try not to be discouraged by this account. Consider any future issues as a possible subject of renegotiating at some point. But, you should still be ready to go through with what you have already signed up for. Once you sign the contract there is no way to make amendments without renegotiating and signing a new one. This may fail to happen at all. Budgeting is essential during the purchase. The amount you pay will not only be the price of the house. You will have to make payments to the agent and attorney. In addition, there are escrow payments, deposit and down payments. There is also the title search and insurance, among other things. You definitely need to estimate your abilities and decide for yourself if you can manage it. In a seller’s market, you will probably have competition for the house you wish to buy. Sellers might be considering several offers at the same time. They will make their decision based on the best offer. They may also choose to play with one potential buyer and only send counter-offers to them. You as a buyer will never know. There are main points on how to stand out from multiple other offers. The best way to protect yourself from failing is to make your offer better than the others. Usually, your real estate agent will be able to tell if there is a chance for the multiple offers. This will help you plan and act accordingly. Receiving a pre-approval for the mortgage will be a good start to becoming the best potential seller’s choice. This is a statement issued based on your credit report, bank statements, etc. It shows your ability to pay for your possible purchase. Also, let the seller know the financial options that you have. Some mortgage conditions and funding programs are more attractive and may influence the seller’s decision. Bid close to his price — there is not much sense in offering significantly less than he wants in a selling market. Doing this you will save you time on the continuous counter-offering process. It would be helpful to review the contingencies list. The fewer clauses you have there, the more attractive your offer seems to the seller. However, it is recommended not to remove home inspection. This means the seller will not be liable for any uncovered issues with the house, and you will have to pay for the repairs on your own. Showing your intentions by making a large, good faith deposit and down payment will usually convince the owner of your commitment. This may finally tilt the balance towards your proposal. Negotiating the price is a very stressful period in a house buying process. You are not sure what the results will be, or exactly how much money you will spend. In any case, keep in mind that the owner is interested in selling his home, and you are willing to buy it. With a little time and effort, you will be able to do it!